Basements that haven’t been waterproofed will have problems — there’s no “might” about it. How severe those problems are is dependent on several factors. These include how well the initial basement and foundation construction was; how deep cracks are; how much water is pressing in from the outside; and how much moisture is in the air. 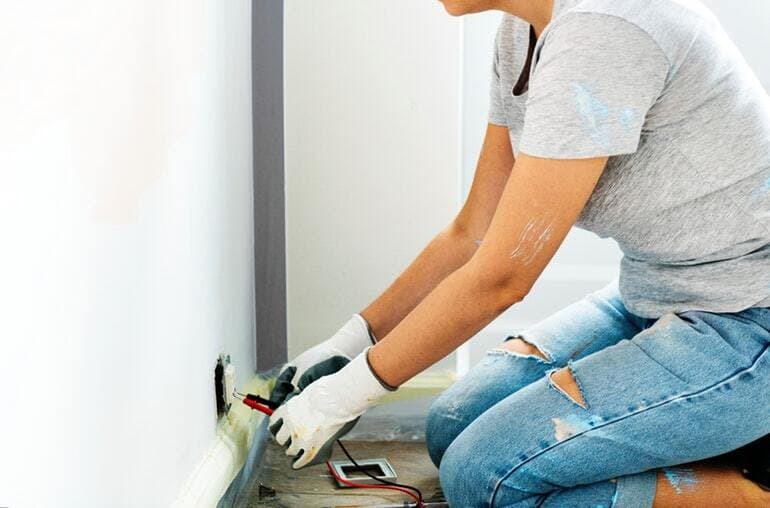 If you don’t fix foundation issues, your house won’t pass the inspection required by banks financing buyers’ mortgages, and you’ll lose your buyer. If, by some quirk of fate, your home interests someone looking to flip it, your asking price won’t be considered and you’ll likely have to reduce it by several thousand dollars. Foundation problems can affect the exterior and inside structure of the house, and if it doesn’t look stable from the outside, potential buyers and real-estate agents will just drive on by. You may not be planning on ever selling your home, but anyone who inherits the house may choose to do so. If you don’t repair water damage from a flooded or leaking basement, you’re passing the problems to someone else. If your heirs choose to live in the house, they could experience mold-related health issues. Either way, they will be the ones having to spend money and having a hard time selling the house. Fixing the basement’s water problems may cost less in the long run than repeated trips to the doctor because someone is having an allergic reaction or breathing problems from mold exposure. Any moisture can cause mold spores to multiply, and ducting can send disturbed mold into the air throughout the house. Don’t tackle mold by yourself. Find a professional company certified in mold removal, such as Acculevel. Anyone with sensitive lungs in the home is at risk for developing worse symptoms if mold is left unchecked. How Much Will I Have to Invest? How much money you spend is dependent on the required repairs. Having shallow cracks filled in won’t break the bank, but if your foundation and basement walls are bowing under water and soil pressure, it could cost tens of thousands to properly reinforce everything. You also need to address the source of the water leaks so issues don’t recur. How Much Are Repairs Worth? In terms of reselling your home, the return on investment for waterproofing your basement is 10 to 30 percent. This may not seem like much, but repairing a flooded basement results in benefits for those currently living in the house as well as increases the odds that your home will sell. Family owned and operated since 1978, the Acculevel staff has the expertise and skills to waterproof your basement, including leaking from the floor. Since 1996, we’ve been specializing in foundations and basements, so we know the ins and outs of keeping your basement dry. If you live in the Midwest and would like an estimate for waterproofing or repairs, contact us at (866) 669-3349 or [email protected] to schedule an appointment.